Not only do my children know that they can find the answer to anything they can think to ask a question about on the Internet but they also know to be wary about and try to discern what is more likely to be truthful from what is more likely fiction or myth. I use the internet to get a better sense of our Yemm & Hart recycled material’s customers (primarily interior designers and architects) by visiting their firm’s websites or track down contacts who have been on the move, often thanks to Linked In. Today, I googled the answer to one of my children’s questions – “Is a mushroom a plant ?” Actually it isn’t, it has more in common with an animal but it is also simply a unique species of life that my sons spent all last winter studying thanks to the book “Missouri’s Wild Mushrooms” by Maxine Stone and then they spent all summer finding and identifying them and we ate many varieties of them. Even my youngest son, our most picky eater, has fallen in love with wild mushrooms. 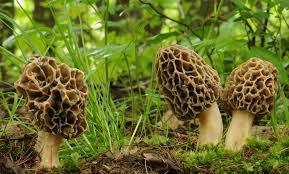 I have looked up images of mushrooms on the internet when the photo in the book just wasn’t enough. A friend signed me up for a mushroom group on Facebook. 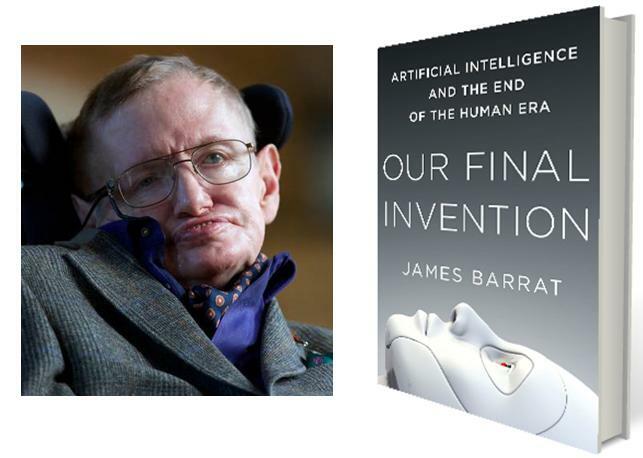 Last Dec 29, 2014 an op-ed by Ray Kurzweil appeared in Time Magazine that had a more positive perspective on AI than Stephen Hawking or Elon Musk have been offering. He makes many arguments including that AI has reduced the violence (or loss of human life) in war situations. He also points to “safeguards” in Biotechnology created at a conference back in 1975 that while revised over time have worked very well to avoid the problems identified for almost 40 years now. 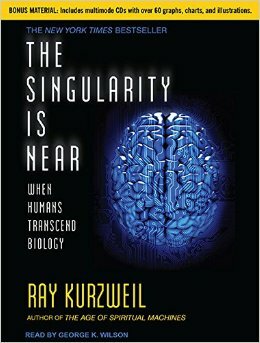 2015 marks the 10th anniversary of Kurzweil’s book – The Singularity is Near. 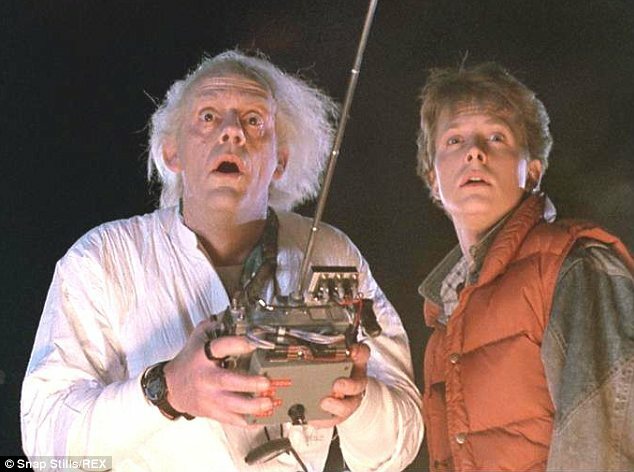 In the decade since its publication, we’ve witnessed an explosion of breakthroughs in genetic engineering, medical regeneration of the human body, autonomous robotics, computing power, and renewable energy. Advanced sensor arrays and internet meshes are uniting all people and things within the interconnected environments we live in, and with each other. Today’s massively scaled, crowd-sourced knowledge, innovation, and shared human experience are driving this momentum. The future is now. In the Dec 2014 op-ed in Time Magazine, Kurzweil identified some effects that I certainly see with my children who are allowed unlimited access to electronics and the Internet in our home as part of their “free-spirit, self-guided, natural education”. He points out that AI is not being integrated into the world today in such a way as to spell the extinction of human beings. As one example, he says “AI is not in one or two hands; it’s in 1 billion or 2 billion hands. A kid in Africa with a smartphone has more intelligent access to knowledge than the President of the United States had 20 years ago. As AI continues to get smarter, its use will only grow. Virtually everyone’s mental capabilities will be enhanced by it within a decade.” Maybe instead of “artificial intelligence”, we should be thinking of this as distributed intelligence ? Currently the mass migrations taking place out of the Middle East and Northern Africa into Europe include smartphones wrapped in plastic and rubber bands to protect them from moisture. Time Magazine in their Oct 19, 2015 issue has an article by Patrick Witty about why the smartphone is the refugee’s best friend. They use them to message people concerned about their welfare, take selfies and document their journey, use mapping apps to share their current location or the safest routes with others. 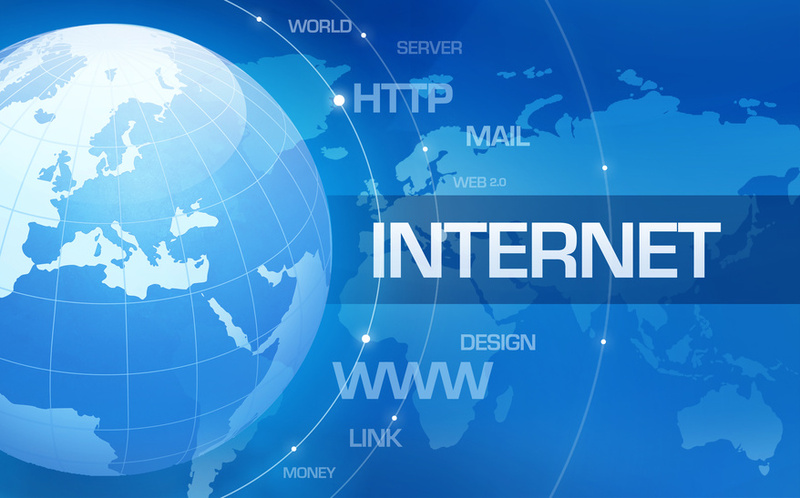 This is a realm of internet based information put to entirely new uses in the sagas of humanity. I already believe that the evolution of individual transportation (at least until we begin teleporting wherever we want to go) will definitely migrate to a dominance of self-driving vehicles, though there will remain those who like to drive a vehicle themselves for recreation or out of preference. 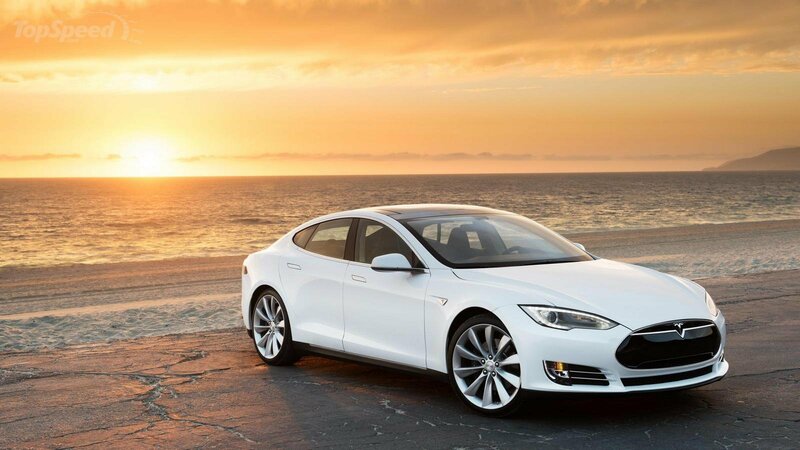 Not only Google and many of the major automotive manufacturers but now also an announcement from Tesla, who’s recently equipped central operating system models S and X will simply update all of the models that have been purchased recently simultaneously over the airwaves. There are many people who hope that technology will create a world that provides for every person at a reasonable level of basic qualities and even free us all to more fully realize our highest potentials. Others, such as the Center for Existential Risk which Stephen Hawking heads along with many other thoughtful illuminaries, plus the likes of Elon Musk and Bill Gates have grave concerns. Concerns that any thoughtful person also shares. The future is uncertain but technology is here to stay. In the early months of this year, I was on a Clementine kick. 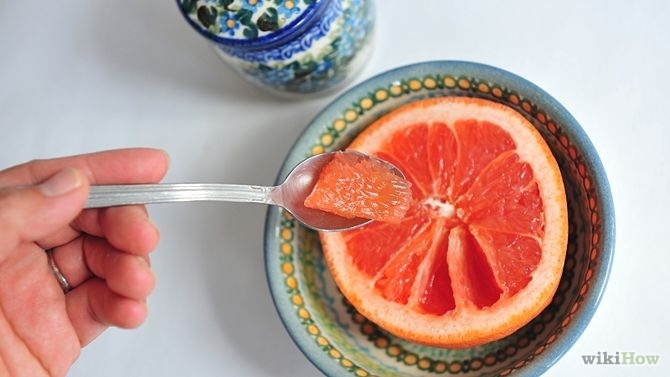 I loved the bite sized, easy to peel citrus fruit but alas the season ended and so I’ve started eating Red Grapefruit about 3-4 times a week to get my citrus fix. No idea why I crave citrus fruits these days but I honor the urge because it is at least a healthy one. Imagine my surprise to discover in the Wired article that scientists back in the 1930s began playing around with intentional mutations by irradiating seeds and insect eggs with xrays to scatter the genomes around like shrapnel. Hundreds of undesirable traits were discarded but one that has lasted was the creation of Red Grapefruit. Another was the barley used in brewing most modern beers. Since then a lot of work has been accomplished on genomes. As recently as 2002, molecular biologists had learned how to delete or replace specific genes using enzymes called zinc-finger nucleases. The next step from that was the technique that used enzymes known as TALENs. But these procedures were expensive and complicated. Do you know what a palindrome is ? This is a series that is the same back to front and front to back. Some microbiologists that were sequencing the genomes of ancient bacteria and microbes called Archaea (actually the descendants of the first life on Earth !!) noticed recurring segments but didn’t know what they do. They did think they were a bit weird though and named these clusters Crispr. A lot of people worry about GMOs and a lot of people hate Monsanto for that. And yet, according to the Wired article, scientists do care about the unintended consequences of the genies they are unleashing from their laboratories. Back in 1975, 140 scientists gathered at Asilomar in California in view of the inspiring landscape of the Monterey Penisula on the Pacific Ocean to consider the implications of “recombinant DNA”. That is decrypting and reordering genes to manipulate the source code of life. The outcome of that meeting was a set of guidelines about how to isolate dangerous experiments and a determination that cloning and messing around with dangerous pathogens should be off-limits but they really couldn’t see the idea of modifying the human “germ line” (which would pass changes on to subsequent generations) as a realistic worry in the mid-1970s. Fast forward to 2015 and once again researchers met at a conference, this time in Napa Valley, to talk about the implications of genome engineering. The gene editing technique known as Crispr-Cas9 was ALREADY readily accessible by everyone at this conference. Turns out that Crispr-Cas9 makes it easy, cheap and fast to move genes around – ANY genes – in any living thing from bacteria to human beings. And researchers had already been utilizing the 3 year old technique to reverse mutations that cause blindness, stop cancer cells from multiplying or make cells impervious to the virus that causes AIDS. Agronomists had rendered wheat invulnerable to powdery mildew and were looking for ways to better meet the food needs of the 9 million people inhabiting this planet. Bioengineers have used Crispr to alter the DNA of yeast so that it consumes plant matter to create ethanol. And pharmaceutical companies have spun off Crispr R&D branches. By now, you have probably figured out that this technique is revolutionary and that it is perilous !! 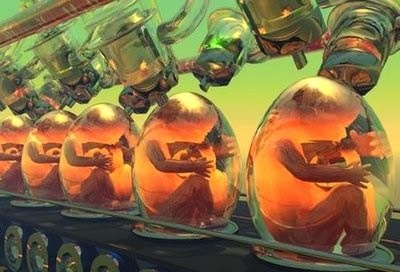 Crispr could allow genetics researchers to conjure up all the nightmare possibilities that keep some people awake at night – designer babies, invasive mutants, species-specific bioweapons and a dozen other apocalyptic sci-fi imaginings. I found the discussion about RNA in the Wired article interesting. In looking at bacteria, the researchers started wondering if Crispr was a primordial immune system. RNA is single-stranded genetic material whereas DNA is double-stranded. “Guide RNA” has been created by combining two strands of RNA into one fragment (and it can be made from whatever genetic “letters” they want and not just from viruses but well – they believe – from just about anything). A microbiologist in Sweden named Emmanuelle Charpentier was working with Streptococcus pyogenes (yes, in a biohazard chamber alright !!). That is where she found the Cas9 mentioned previously. Cripr makes two short strands of RNA and Cas9 latches onto them. When the Crispr-Cas9 arrives at its destination, Cas9 does something almost magical – it changes shape, grasping the DNA and slicing it with a precise molecular scalpel. The combination of Guide RNA and Cas9 has created a programmable machine for DNA cutting (hence the title of this blog). The stakes are high in the on-going patent battle (more than one party claims they were the “first”). The licensing of the patent could be worth billions in royalties. The gene-editing possibilities of Crispr-Cas9 are limited only by scientific creativity and ethics. And there are lots of unknowns still on the frontier. Crispr could be used to treat some debilitating disorder in the womb and it might also be used for a less significant application like skin wrinkling in aging. The medical research community simply hasn’t had enough time to seriously discuss the ethics and safety even as the utilization of the technique rushes forward. The April 4, 2015 issue of Science News describes the use of Beetle RNA to engineer plants by putting it in their leaves. These genes were inserted in plant cells called plastids. An example of one type of plastid is a chloroplast which performs photosynthesis. 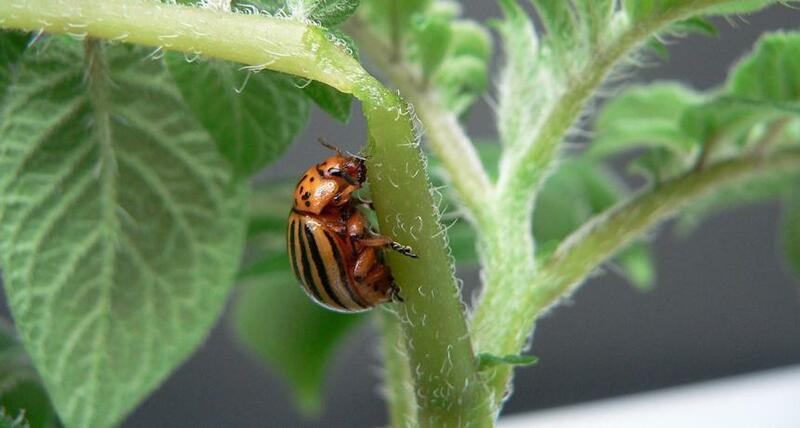 So the plant was laced with double-stranded beetle RNA so that if eaten by that beetle, it disabled certain genes and caused their guts to break down. The adult beetles stopped eating and their larvae that feasted on the plants were dead. Researchers believe that the technique is safe because the plastids have their own DNA that doesn’t make it into pollen and so won’t spread the beetle genes from the engineered crops in pollinating other plants. I can’t claim to feel warm and fuzzy about it. I can only trust that they really do know what they are doing when they use their god-like powers to engineer new crops. Just like with Artificial Intelligence and the singularity that is looming ahead for us, I don’t think there is any stopping the “forward progress” ? of science in the realm of genomes. Deus ex machina is the phrase applied to the climatic moment in a classical Greek tragedy when gods would descend from the skies to resolve all knotty human problems. 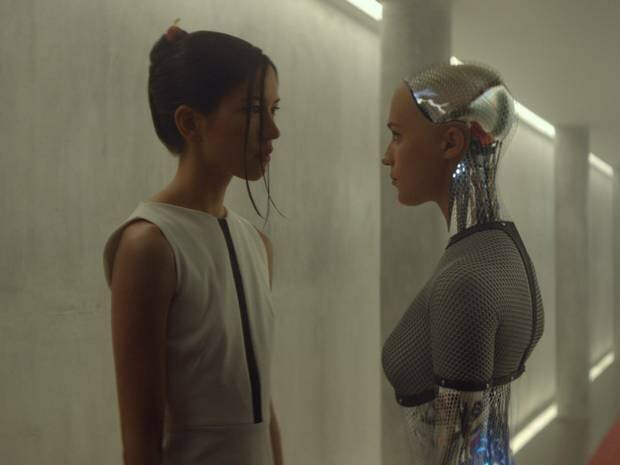 Right now, there is a lot of buzz about the new movie, Ex Machina. 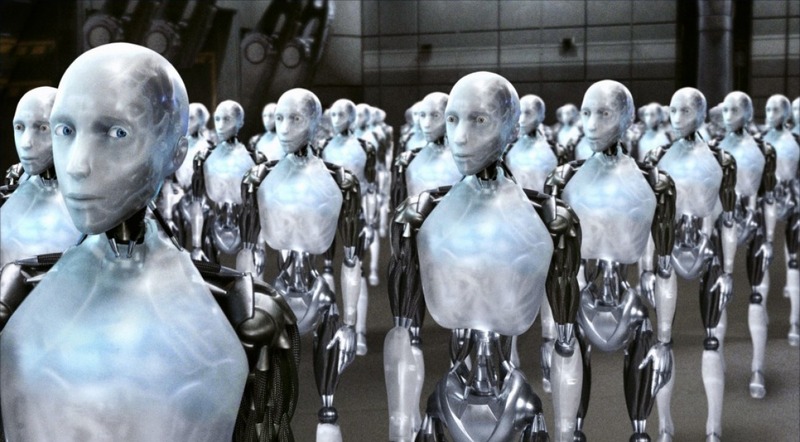 According the the Time magazine review “God, is the word that hovers over Ex Machina.” The movies that are made for our entertainment often reflect where our society is headed. The same could be said I suppose for the video games teens and young adults play. Turns out there is a video game named Deus Ex Machina and the 1984 Spectrum classic, which has often been hailed as the first ‘art house’ game, has been around for 30 years now. Released in Nov 2014, Deus Ex Machina:30th Anniversary Edition seeks to bring a cinematic flair to the original game. Yikes !!! I’m not entirely comfortable with the rapid pace with which intelligent systems are being implemented in our world. You can call me a Luddite but I do have some concerns. Over a year ago, during a trip to St Louis (which is a major outing for our family with a 4 hour round trip), it really dawned on me that maybe we are living the climatic moments of our own version of a modern day “Greek tragedy” and I’m not looking for any gods to descend from the skies (though I know some people still await the arrival of ETs, even now). I worry that we may be in a bit of a predicament. This anxiety began just after the movie Transcendence came out. My husband had been talking to me a lot about Stephen Hawking’s perspective on AI/robotics at that time. Hawking has some concerns too. He is Director of Research at The Centre for Study of Existential Risk. They describe themselves as “an interdisciplinary research centre focused on the study of human extinction-level risks that may emerge from technological advances. We aim to combine key insights from the best minds across disciplines to tackle the greatest challenge of the coming century: safely harnessing our rapidly-developing technological power.” Even so, I think it may already be too late to change the trajectory – that the genie is already out of the bottle and not willing to leave its freedom of movement into every nook and cranny of our world. What’s new can be noticed in the research at the leading edge. The work ongoing at the Active and Intelligent Materials Lab at University of Cambridge in England boggles my mind. The active research is studying “adaptive responsive structures, including materials which respond to several stimuli: temperature, pressure, pH, ionic strength, light, and electromagnetic fields. While artificial muscles with higher energy density could be better actuators for robots, smarter actuators could also provide sensing to start the actuation, or even photonic switches for new optoelectronic computing. Recently, inspired by work in shape-memory polymers, we created multi-functional muscles which can be programmed to “remember and recall movement”. For many of these muscles, the goal is to improve function by understanding the detailed mechanism. For one class of muscles, dielectric elastomers, high voltage failure is a major problem. Our recent results suggest that they may be actuated at high voltage without failure, provided short enough pulses are used”. “Shape-memory polymers . . . programmed to remember and recall movement” – oh my !! Okay, so I’ve not the background to judge those types active research and I won’t claim to understand all that they are doing there. The understanding that I do have tells me a transformation of how we experience Life here on Earth is already happening and the future that is coming would be astounding to us today. And I am not actually a Luddite. I appreciate all of the wonders that technology is bringing into our lives. If it weren’t for technology, I wouldn’t be sharing my thoughts and my concerns with you now. And some of the developments are astounding me today. Kilobots (quarter-sized) may not be very smart but they communicate with one another. 1,000 Kilobots can be programmed to follow a few simple rules that then cause them to assemble into shapes without human intervention. Insect swarms in nature inspired the computer scientists to mimick that behavior with the inexpensive $20 a piece bots. What’s next ? 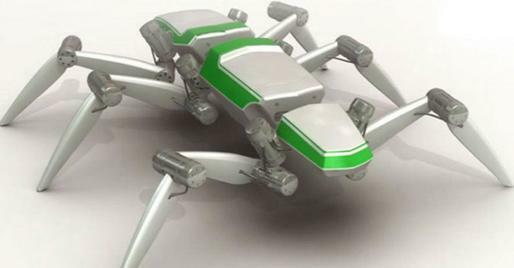 Intelligent swarms of sand-grain-sized robots that form useful 3-D structures. How about an Octobot ? It’s design is also inspired by nature and more specially the well-known sea creature with arms connected by fleshy, skirtlike mantle. It’s arms and web are made of soft silicone and it is approximately the size of a shoebox. In tests within the Mediterranean Sea, it has been found that organic sea animals seem unfrightened by the artificial intelligence. The computer scientist who designed this hopes to use it to observe marine ecosystems by putting a camera on it. Or how about search-and-rescue snaky robots that can burrow through rubble or use helicopter like propellers to airlift wheeled snakebots out of tight spots. And here’s the future for XBox gamers . . . the robot trio is controlled using an Xbox controller. Also in the same disaster area recovery realm are robots that use tiny explosions to jump, shoving the untethered soft robot off the ground so that it can navigate rubble that makes walking through an area difficult. So many evolving uses for smart and intelligent materials and constructions from them that have the potential to be life-affirming and useful to humanity !! But I do worry – what will all the people do ? Already, a lot of people are unemployed or underemployed and technology is certainly one of the reasons, so more competition from artificial intelligence, ie robots, is just going to make matters worse. And I worry about remotely controlled warfare, like drones and satellites that keep warriors safe but not civilians. At Yemm & Hart there are no robots doing the work today. Our processes to create new materials from recycled resources are rather old-fashioned in their methods. We are gratified to make our living by recycling those items turned in by consumers to recycling centers in order to continue their usefulness. We do stay abreast of continuing developments not only in our own industry but as this blog has illustrated. We find interesting all kinds of topics about anything and everything evolving in Life whether it catches our fancy or worries our dreams. The Science News article below by Meghan Rosen could not be found in digital form at http://www.sciencenews.org. 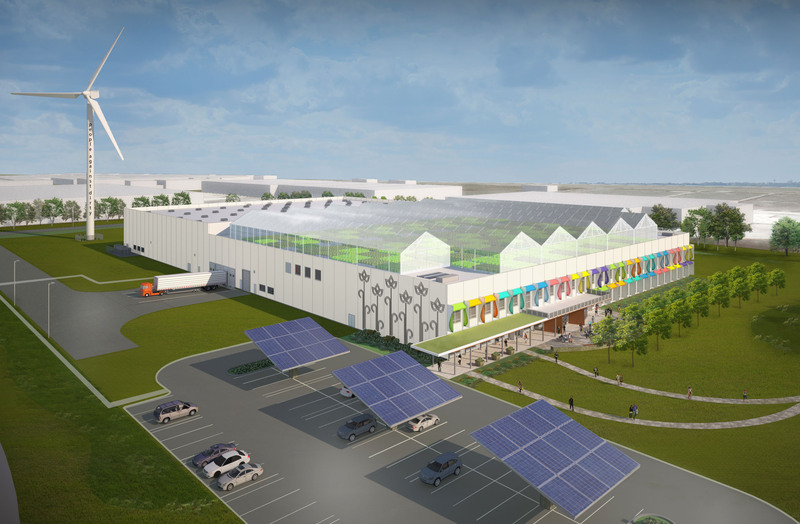 I am highly impressed with the new manufacturing plant in Chicago going for Platinum LEED that will include manufacturing facilities for two separate but inter-related companies. Amcor Rigid Plastics will make the bottles that Method Products will fill with their naturally derived and biodegradable cleaning products. 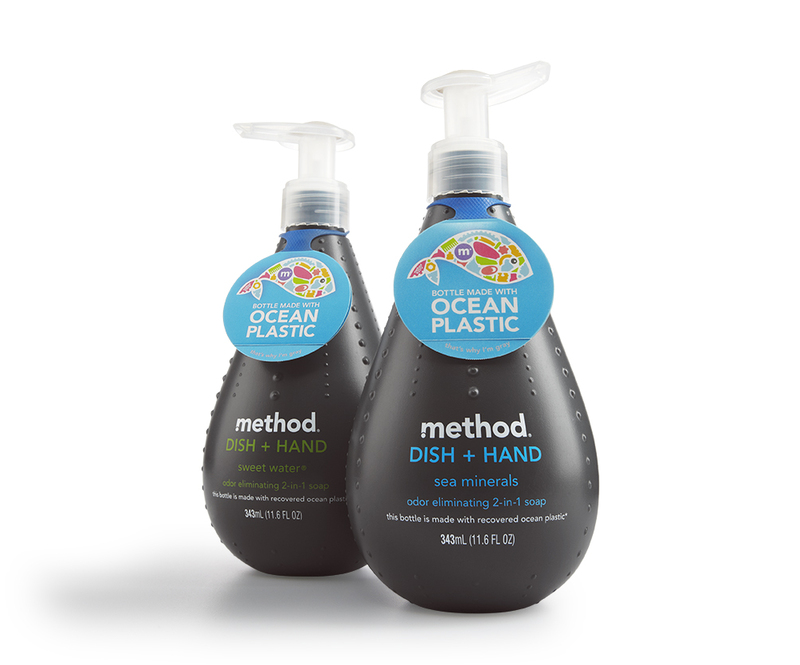 Method Products is an example of conscious capitalism, using business to do social and environmental good, involved in the Cradle-to-Cradle program, animal friendly, climate conscious and responsible sourcing. Method is putting their money into action with the design of their new manufacturing facility. Method is headquartered in San Francisco and will incorporate an array of green building elements into its first US manufacturing plant. The building is on 5 acres of a 22 acre site on the south side of Chicago. The plans include what would be currently the world’s biggest green roof at 75,000 SqFt. This green roof is expected to take urban farming to new heights with greenhouses that can grow up to 1 million pounds of fresh produce a year for local grocers and restaurants. There will be much more making this building very environmentally friendly including solar panels on the building and in the parking lot. 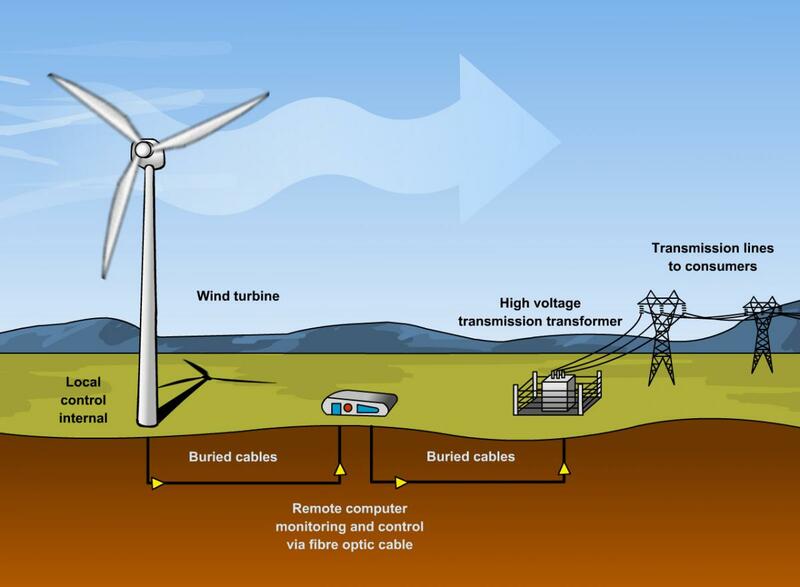 A refurbished 230 Ft tall wind turbine will generate a significant amount of the new plant’s energy needs. The combined production of wind and solar on site are expected to provide half of the factory’s annual electrical consumption. This is how things get my attention in a big way. Not all that long ago before this week’s blog was a glimmer in my own imagination, I was talking with a business associate that I am quite fond of – Tamsin Ettefagh of Envision Plastics. We share a love of recycling and especially recycling related to plastics. It came up coincidentally during our conversation that they are involved in Method’s ocean plastic project. Method teamed up with local beach clean-up groups and volunteers to collect plastic debris from the beaches of Hawai’i and they have this plastic processed into a form that they can use to make this bottle. This is just one way that Method walks its talk – using design innovation to not only solve a problem but to also bring awareness to that problem inspiring real change. What was “the problem” ? According to Method’s website it is this – “several million tons of plastic makes its way into our oceans every year, polluting the environment and hurting our marine populations. And the problem isn’t going away anytime soon as more plastic washes up on beaches everyday.” Getting real about what can be done, they realized that as “a small soap company, we know we can’t clean up the world’s oceans. But we can raise awareness about the issue and use our business to demonstrate smart ways of using and reusing the plastics that are already on the planet.” Method believes that they can prove that solutions exist, even if it is only at a small scale. The creative and innovative folks at Envision Plastics were willing to take a chance on making the impossible possible, taking plastic from the beaches of Hawai’i and turning it into resin for Method’s bottles. Method believes that their initiative works to show how design can be used to tackle environmental problems. They don’t believe that their making bottles out of trash will completely solve the ocean’s plastic problem. But they do believe that there are alternatives to using virgin materials, Post-consumer Recycled plastic for example, and they are committed to using these alternatives in all of their bottles. Yemm & Hart is ALSO committed to using Post-consumer Recycled plastic in our Origins material. We are proud to partner with a genuinely caring company like Envision Plastics to bring our materials to your architectural and interior design projects. 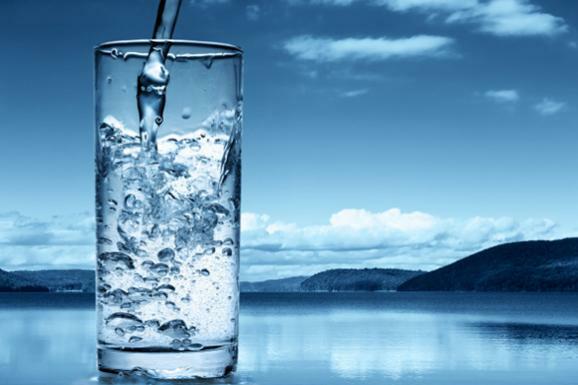 So, back to the title of this blog and the new manufacturing facility in Chicago, the proximity part is that Amcor Rigid Plastics will have a bottle production operation right there within Method’s new facility. Amcor is one of the world’s largest packaging manufacturers with 60 facilities in 13 countries employing 27,000 people. Amcor has 23 on-site bottling operations with 8 in the United States. The other on-site operations are in Latin America. Clearly one of the primary benefits of utilizing shared space this way is reducing transportation (ie the carbon footprint in manufacturing products). Using 100% Post-consumer Recycled (PCR) resin lowers cradle-to-gate energy consumption by 52% and the packaging carbon footprint by 57%. The on-site production will take 600 trucks off the road each year and eliminate an estimated 200 metric tons of carbon dioxide emissions. Amor’s presence also presented challenges for achieving the highest LEED certification. According to Amcor’s account manager, Dan Gehling, “Blow-molding operations are more energy intensive than filling operations.” The addition of the bottle manufacturing on site required thoughtful solutions to off-set that reality. The use of renewable energy from wind power, skylights and certain building materials allowed them to meet cradle-to-cradle requirements. I have not been a consumer of Method products but I am definitely going to look at replacing my Seventh Generation products (nothing to be ashamed of) with some of Method’s products for my next purchases. I walk the talk too !! Science fascinates me though I’m not a scientific genius. I am in awe of the edge of possibility, of that fearlessness of scientists to go where no man has gone before, to push the envelope into the unknown and risk what isn’t known about what is discovered. So recently my attention was attracted to an article in the Aug 23, 2014 issue of Science News by Andrew Grant titled “Weird materials find a practical use”. Finding out that the practical was based in something called “topological insulators” I thought first to learn more about them. So I went to Wikipedia – not the most respected scientific journal but something accessible to the common person who lacks specialized understandings. The first thing I learned about these materials is that they have a time reversal symmetry. Time, now that is another aspect of life that fascinates me. Reversing time ? Symmetry ? Need to learn more !! James Clark Maxwell described a thought experiment that has been dubbed Maxwell’s Demon. So it is described this way – “a microscopic demon guards a gate between two halves of a room. It only lets slow molecules into one half, only fast ones into the other. By eventually making one side of the room cooler than before and the other hotter, it seems to reduce the entropy of the room, and reverse the arrow of time”. Back to topological insulators – these materials behave like an insulator in their interiors but electrons are able to move on the surface. The surface states of topological insulators are special because they are symmetry protected by the conservation of their particle number and due to time reversal symmetry. What is really important to the “latest ideas for practical usage” is that electrons moving along the surface have their spin locked at a right-angle to their momentum (spin-momentum locking). 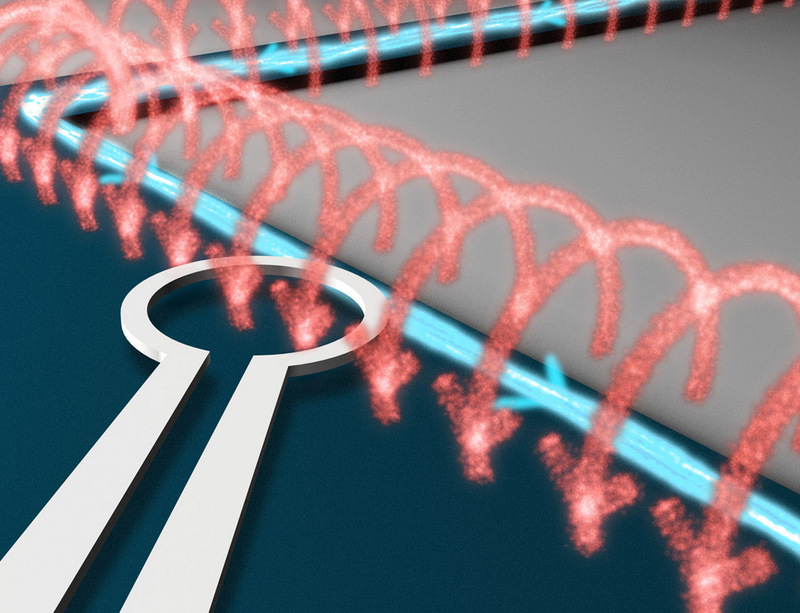 Silver colored surface is a superconducting quantum interference device which detects magnetic fields (red) created by an edge current (blue) in a topological insulator. Time-reversal symmetry protected edge states were predicted to occur in quantum wells (very thin layers) of mercury telluride sandwiched between cadmium telluride in 1986 by Pankratov and observed in 2007. And in 2007, they were predicted to occur in three-dimensional bulk solids of binary compounds involving bismuth. Penn State condensed matter physicist Nitin Samarth wanted to do something useful with them and was inspired by the work of Dan Ralph another condensed matter physicist at Cornell University who wants to speed up the processes that currently limit speed and capacity in computer RAM and hard drives. There are several components within a computer that help make it faster and more powerful. A computer with more memory (RAM) will be capable of storing more programs that are currently running in memory. If your computer runs out of memory, the computer must swap unused data stored in memory to your hard disk drive until it is needed again. This makes each task more complex by adding another extra step and because the hard drive is the slowest type of memory in the computer it will decrease the speed even more. 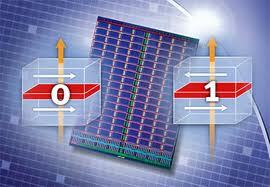 Most current hard drives store data as 1 and 0 based on magnetic orientation. Generating those magnetic fields is a relatively inefficient process. Ralph’s team built devices in which electrons brush past compass needles and because of their spin provide a subtle torque. The key to maximizing torque is generating currents of electrons with the same spin. Joining together the work of both Samarth and Ralph, they tested a theory that electrons racing across the surface of a topological insulator could manipulate a magnetic material by their spin. To do this, they layered a nickle-iron wafer atop the topological insulator bismuth selenide and sent an alternating current of electrons through the device. Each electron in the bismuth selenide exerted about 10 times as much torque as electrons in any other material tested so far. That torque would be sufficient for utilization in a memory device. Shifting my focus now to be closer to home. At some point more than a decade ago we decided to test our home for radon with a little mail order kit. We were shocked to discover that our home had unacceptably high levels of radon. This is not good news because radon is a radioactive gas that can cause cancer. And what’s unsettling about this lethal invader is that you can’t see, taste or smell it’s presence. Radon is the second leading cause of lung cancer in the United States today and if you smoke tobacco and your home has high radon levels, then you’re at high risk for developing lung cancer. We don’t smoke but we still don’t like knowing radon is here in our home. So, we installed a little fan in one window of our basement and opened up the little window at the opposite side. It’s the best we can do for now. We began a construction project which the lethargic economy has put on indefinite hold but you can believe that we have taken a proactive stance against even the possibility of radon ever being an issue in our construction planning. The atomic radius of Radon is 1.34 angstroms and it is the heaviest known gas, nine times denser than air. Because it is a single atom gas (unlike oxygen, O2, which is comprised of two atoms) it easily penetrates many common materials like paper, leather, low density plastic, most paints, and building materials like gypsum board and sheetrock, concrete block, mortar, sheathing and tar paper, wood paneling, and most insulation materials. 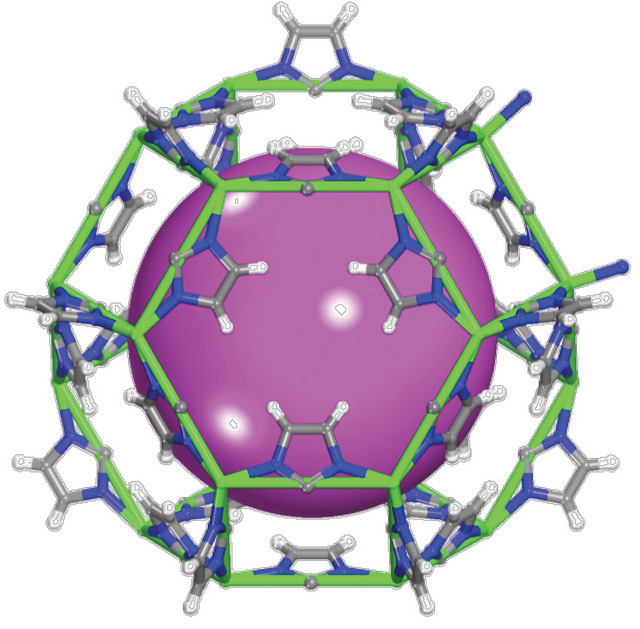 Molecular Cage perfectly sized to trap a gas atom. So imagine the possibilities being explored by materials chemist, Andrew Cooper of the University of Liverpool in England. It was one of those unintended consequences that happen frequently in science. Cooper and his colleagues had set out to create a polymer. Instead, they produced a 3-D “cage”. This was accomplished by reacting 4 aldehyde molecules with 6 nitrogen-containing ones. The cages clumped together to form a multichambered atomic jail as reported in an article “Molecular cage traps rare gases” in the same Aug 23, 2014 issue of Science News by Beth Mole. 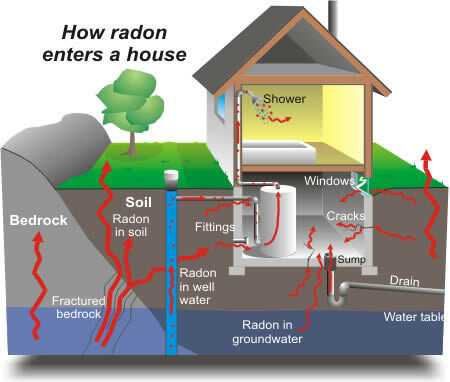 In their research, the scientists estimate that radon could only slip out 3% of the time, once it slipped in. While one of the applications could strip out xenon so valuable it sells for $5,000 a kilogram (and this is useful for it has applications in lighting, medical imaging and anesthesia), Cooper and his colleagues think the molecular traps could detect radon in homes. I think even further out, could this technology eventually “trap” radon to make our homes safer someday ? I remember when I first went to work in the traditional office in the early 1970s, one sat at their desk and remained focused on their work. Interaction with co-workers was seen as not getting one’s work done. Collaboration was not encouraged because work was broken down into discrete actions that a single person was responsible for completing. 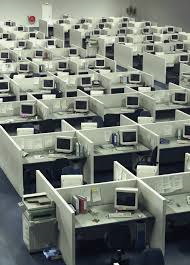 Cubicle sales peaked in 2000 when they accounted for 37% of all office furniture sales. So, what’s new now is what is disappearing – the desk and “the corner office” (that perk of the successful executive that is rarely there to occupy that space). The cross-fertilization of many minds contributing to solutions and business products is now being encouraged in the architecture of some of the biggest names in the economy. This according to an interesting article published in The Guardian titled – “Death of the desk: the architects shaping offices of the future” by Shane Hickey published Sept 14, 2014. Many of those names – HOK and Gensler notably – are quite familiar to our business from long years of providing architects and interior designers with quality recycled-content materials for the built environment. 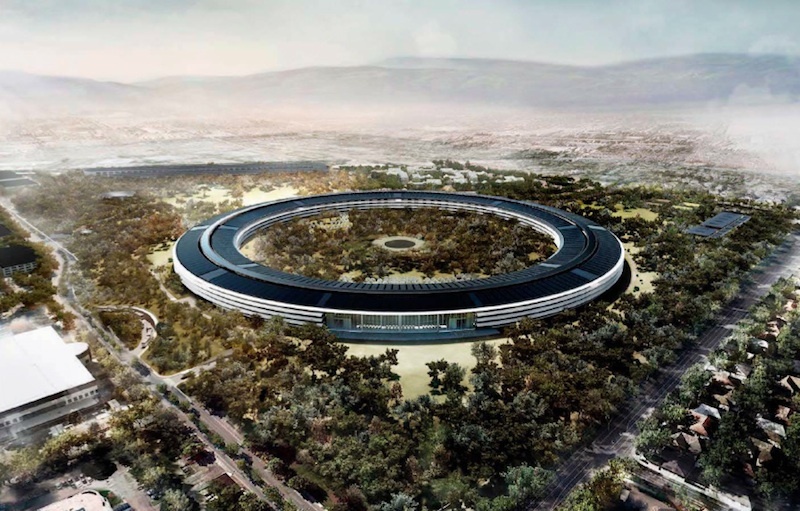 Apple’s O Building gave rise to a funny cartoon but the design by Norman Foster had a serious purpose. The concept was meant to facilitate collaboration between workers. The building real estate will include 80% green space and during 75% of a year, there will be no need for air-conditioning because the building will take advantage of the natural climate. The energy for the building will come from a large array of solar collectors on the roof. The BBC’s new Broadcasting House headquarters in central London has large units similar to American diner booths in common areas where staff can have chance meetings. The interior including all carpets and fabrics (which was designed by architects HOK) have been tested for the screen. Filming can now take place across the whole building according to Andy Baker, who oversees the corporation’s London locations. Even the radio studios have been integrated in with glassed areas that cut the space they need. Though working in an isolated and much smaller structure than these giants, our family business is conducive to interaction and collaboration as we all do our work in a large open plan space where no one has to do more than turn to face the other to have a meeting of the minds for strategy and long range planning. Help with a technical issue or sticky situation is always close at hand. 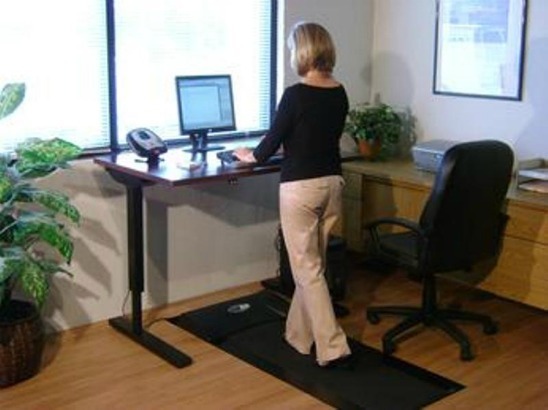 Back in May of 2013, I was inspired by an article in The New Yorker by Susan Orlean titled “The Walking Alive – Don’t stop moving” in which the author writes about her treadmill desk and how when she couldn’t run, she decided to walk. I was so inspired, I thought that I might want one. Instead, I decided to incorporate a little break once or twice a day for a little hike alongside the creek and back to refresh my mind and move my body. I don’t have a traditional desk. My laptop is on a stand with a view of the wild forest out my window. Next to me is a rolling cart for my current work projects with bin like sliding shelves. I am happy with the arrangement. A little more than a year later, the same proponent and expert from The New Yorker article (Dr James Levine, director of the Mayo Clinic at Arizona State University’s Obesity Solutions Initiative) re-emerged with the same passion in a Sept 8-15, 2014 Time Magazine article – “Stand Up for Yourself” by Alice Park. This time my partner took the message to heart and is trying out standing at his desk instead of sitting. Whether it is a long-term change or a novel experiment remains to be seen. In the earliest days of our recycled materials business, just wanting to do something about a problem was cause for celebration and we received lots of media attention because “recycled materials” were all the rage back in the 1990s. It’s nice to have such advantages as current “buzz” at the beginning of a new venture. It was not very long, however, until wanting to be known for the quality of our materials was acknowledged by us as being more important than the simple fact that we were doing something useful regarding the quality of our planetary environment. Thus began a continuous effort at improving the processes used to make our materials. Thankfully, most of that effort progressed rather quickly. So, it is easy for me to understand, why one of our country’s largest users of materials in general, the automotive industry, would be reluctant to use recycled or bio-based plastics. In fact, I’ve come up against competitors using such fears or concerns, to try and talk potential customers for our recycled plastics (in restroom partition applications) out of using “trash”. Well, no one who cares about quality is selling anyone else garbage. The recycling industry is justifiably proud of the efforts it goes to, in order to provide CLEAN, quality products to its customers. Sometimes, such fears and concerns are simply an excuse or a ploy (as described above). Certainly, one needs to make sure of the quality of the material they plan to use. That could be said of any product or material, not applying such reasoning purely on the basis of something having been recycled. So, okay, I can agree with Eric Connell, a senior engineer at Toyota in Ann Arbor, MI when he says “Using these recycled and bio-based materials is only going to make sense where it is the best option”. In fact, as a supplier of recycled materials, one of our constant challenges comes from that need to do extra processing, to reuse materials that have had previous usage in our world. There is a cost to that. Realistically, however, there is a cost to extracting materials. We do not price our product to be below other suppliers. To be honest, we never consider that. In order to keep on doing what we do, we must cover ALL of our costs and have something left over to ride out cycles of economic activity, when they collapse as has been the recent experience financially worldwide. That said, we are not greedy. We do not simply charge however much the market will bear but only a modest amount as prudence indicates. So, when a project is budget-driven, as Mr Connell himself admits is part of the equation for the automotive industry (defining “best” as “And that could be cost.” among other concerns), we may not get the job. However, we try to temper the budget-driven mentality of profit-driven decisions by offering “uniquely” appealing products, such as some of the color offerings in our Origins line of materials. One of the motivators that CAN make a difference is increased “awareness” of environmental factors and costs on the part of the customer and consumer. When a manufacturer knows that YOU are paying attention, they get more serious about trying to satisfy you. After all, you speak with your wallet, with your purchasing power, and they all know that. It is a happy thing to know that Toyota’s 2014 CT 200h hybrid Lexus uses 30% plant-based PET materials for the floor mats and trim. It is nice to know that the car has been so designed that 90% of it will be easy to dismantle and recycle (if there are places for those parts to go). The automotive industry is not only a high volume user of materials, they are the source of a huge volume of “discarded” material as well. Cars are not soda pop bottles !! 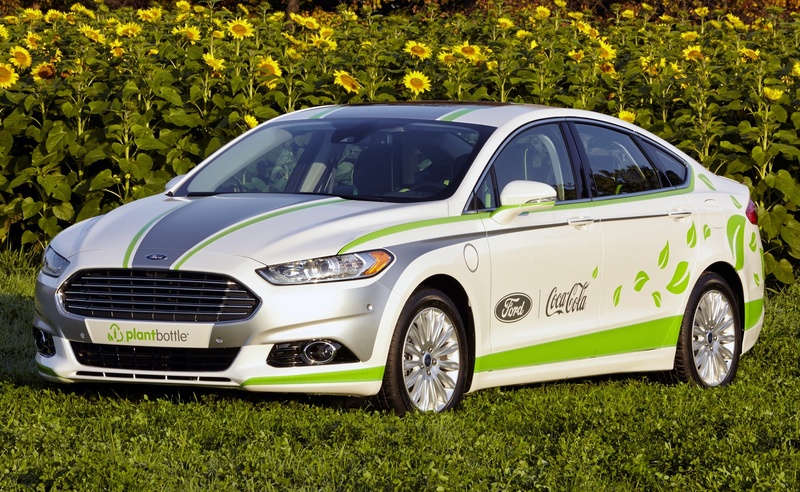 The Ford Fusion Energi, a hybrid vehicle currently in development by the car company, uses the same material to line the car’s insides as Coke uses to make its plastic bottles. The plant-based PET (polyethylene terephthalate) can be found in the seat cushions and in the door panel inserts. “PET is made by having two chemicals react together – terephthalic acid and ethylene glycol. Terephthalic acid isn’t produced by plants but ethylene glycol is. That is the sustainable part to making PET,” said Anil Netravali, Professor, Fibre Science Programme, Cornell University. Yemm & Hart repeatedly gets inquiries and interest from entities like the automotive industry, though we’ve yet to hit the right material for the right application to win big with the car companies. As Mr Connell advises – “The message is that you shouldn’t give up.” Certainly, we continue to do what we do in the smartest ways possible. As a customer and consumer you shouldn’t give up either – continue to demand the re-use of extracted natural resources, rather than accepting the “throw away”, easy way out, mentality as the “best” option. For in the long run, it is NOT.